Hi everyone, I am new to the forum. I have researched for long and didnt seem to get a solution yet... I like to change my high beam 9005 with DRL to LED. I understand there will be flickering issues and such. I know the iJDMtoys have a led conversion kit with harness that can solve this problem. I am currently running sealight H11 on low beam and it's working fine with nice cutoff. I cannot stand the yellowish DRL halogen even I have already spent cdn35 on the Philips Crytsal Vision Ultra which is junk in my opinion. I will be better if I can buy the kit from Canada so I dun need to pay extra deliver charges or import taxes. Open for other options such as HID kit upgrade, but I am trying to keep things simple and minimal work here. As I am not a mechanic so I cant do all the rewiring and stuff. Pretty much the only option short of making it yourself. This is what I have used for 3 years in my car. I have to buy another bulbs, I'm stock now, but I will change it soon. You can't give flashes with high beam anymore, just a heads up. Lighting on vehicles should be designed to meet strict guidelines for dispersion and output ... aftermarket bulb manufacturers are notorious for making crap that screws up the OEM design and typically ends up blinding other drivers. This is especially true of LED "upgrades". you will never get a satisfying performance from LED bulbs as their focal lengths are wrong, cannot produce the light in areas needed, are too bright in some places, too dim in others... increased glare and bad beam pattern are the norm... not only are they illegal, they're unsafe! the DOT doesn't "approve" anything... manufacturers are responsible for certifying that the produce meets the DOT regulations and marks them as such for sale... if the product is claimed to be DOT certified and is suspected of failing to meet those regulations, "DOT" (transport canada or NHTSA) will ask for the certification test results or ask for it to be tested. Last edited by TheMAN; 02-05-2019 at 10:17 PM. Is not my responsibility to ensure the dot certification of that product is meeting the criteria or not. Pretty much anything that is not like original OEM is susceptible for being illegal, doesn't matter if is dot approved or not. If is dot approved but too bright for that car is illegal and you can be sued . The LED I have used are not bright at all, just white like he asked for, not dot certified . There are always consequences for everything you do in life, proceed with caution ! Last edited by LiviuTincu; 02-06-2019 at 07:36 AM. If is dot approved but too bright for that car, you can be sued . 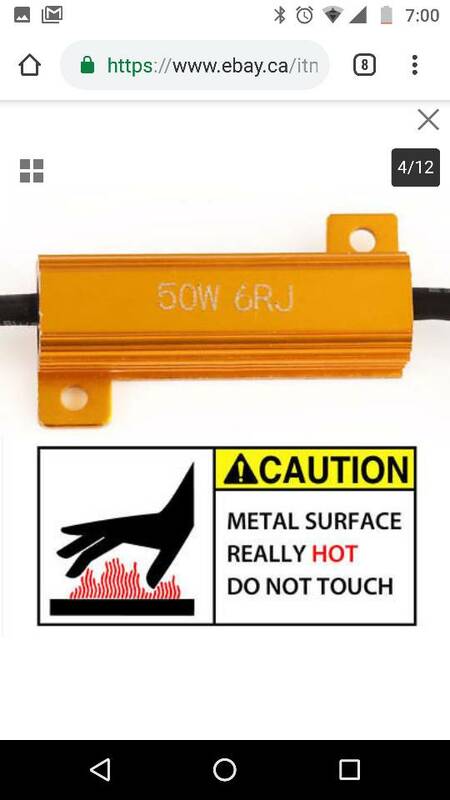 The LED I have used are not bright at all, just white like he asked for, not dot certified. 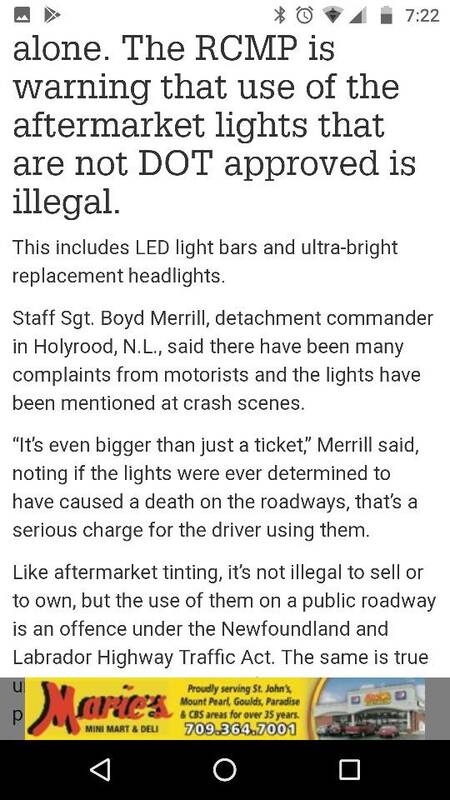 It doesn't matter in the slightest how bright (or not bright) the LEDs are that you use, unless the lamp is designed to be used with your headlight assembly it is illegal. I won't make the mistake of assuming the motive of others for posting in this thread, I only speak for myself ... recommending that someone use an unapproved headlight set up is illegal and most importantly dangerous. Years ago I spent a considerable amount of time researching this topic because I wanted to upgrade the headlights on my old work van. 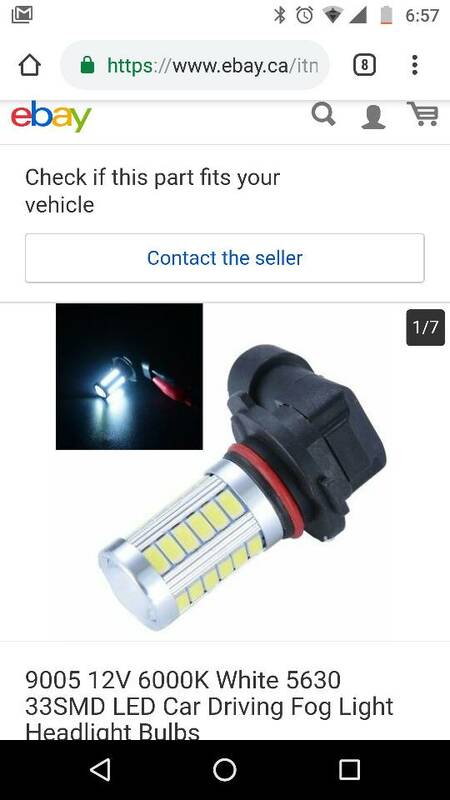 Before I started looking into it, I had no idea it was possible to buy aftermarket bulbs that were not legal to use on the road. I found CPF (CandlePowerForums) to be extremely helpful in this regard ... 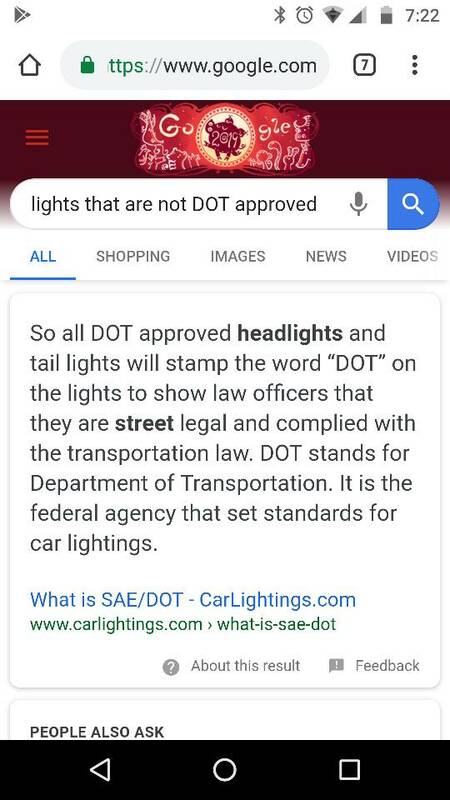 I highly recommend you browse through, especially the "Vehicle Lighting Laws & Regulations • Documents & Links" sticky created by Virgil. As far as the headlights on my old van, a number of people recommended Sylvania SilverStar ULTRA and I was really happy with them. Here is a link to the offerings they have for a 2011 Mazda 3 (High Beam). I find some OEM HID DRL on taller vehicles like trucks Vans and SUV's to be too bright. You are missing some important parts from what I said, but you can read again. 2006 Mazda 3 LED turn signal conversion?? ?